Are you an ambitious, heart-centred entrepreneur who is fed up with letting fear and self-doubt paralyse you from taking action? Do you want to finally let go of the limiting beliefs and fears that keep you playing small? (even though you might not even realise you’re doing it)? Do you want to stop convincing yourself of all the so called valid excuses of why you can’t take action towards your goals? 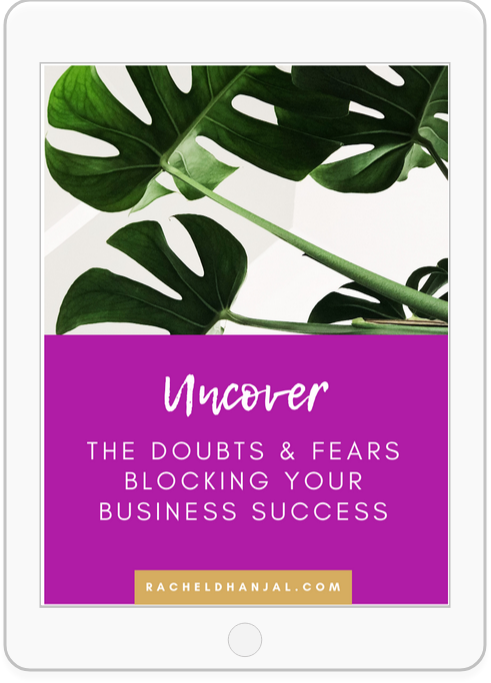 Would you like to let go of feeling like a fraud and not being good enough, so you can develop an unshakeable self-belief along with powerful tools and strategies to show up as your best self in life and business? If you answered yes to any of these questions, then my 1:1 coaching is for you. In my role as a Mindset Coach, Kinesiologist, and NLP Practitioner, I work with hundreds of entrepreneurs who have been where you are right now. And do you want to know the one thing I see that moves them forward and enables them to create the success they have always dreamed of? Learning how to tap into their self-confidence, self-trust and self-belief regardless of fear. * Break through the fears, anxieties and limiting beliefs keeping you stuck and stagnant from going after your dreams. * Reconnect with your authentic self, allowing you to show up with courage, confidence and conviction in who you are. * Provide you with the powerful energetic healing techniques and personal development strategies to ensure you can move through any emotional or mental road blocks on your own easily and effectively. I have personally experienced a myriad of my own struggles and inner road blocks. I have struggled with anxiety since I was 6 years old, battled depression, chronic pain, chronic procrastination and faced many setbacks in life and business. I intimately understand fear, anxiety and self-sabotage in all its forms all too well. I have journeyed this path too, but despite all of this I have still built a successful and incredible business I love. What I do know now, is that it is vital to do the inside work. To heal old wounds, and clear away fears and negative emotions, so you can authentically show up as the powerful woman you truly are and take inspired action towards your dreams. You cannot have the success you desire, without first doing the inner work. Your actions are at the mercy of other people’s opinions, keeping you paralysed and anxious. You never seem to get started or finished on the projects and goals you have been dreaming of, convincing yourself your excuses are darn good. At the core of who you are, you believe you aren’t good enough, smart enough, knowledgeable enough, experienced enough, young enough or…and the list goes on. Your soul is calling you to take a leap, play big and bring your best self forward, but you are crippled by the fear of failure. You are doing all of the actions and working hard for success, but deep down you don’t believe you are worthy of it, sabotaging your efforts. You sit back feeling helpless and jealous that everyone is making it, and you’re paralysed from taking action. You lack the capacity and self-trust to make decisions quickly, wasting precious time that could be spent taking action. You are doing the facebook ads, email marketing, social media and you are still not attracting the clients you want to be. Looking back you wish you grabbed the opportunity with both hands and went for it, leaving you with regret and disappointment. *Building or scaling a thriving small business that makes you feel challenged (in a good way! ), inspired and excited to get out of bed in the morning. *Confident in your decision making ability to lead and trust yourself even in the face of adversity within your business. *Have self-belief in your abilities to go after your dreams and create a life on your terms. * Have the tools to validate your own worth without needing others to do that for you! *Know that no matter what fears and road blocks arise, you have the strategies to move through them easily and effortlessly. *Feel confident in who you are, and know that as you follow your heart, own your worth and trust in yourself, success will be yours! *Know that you are worthy and deserving of success and an abundance filled life. …before they own you and sabotage your big vision. Using my tried and tested breakthrough techniques, we work together to release the core blocks getting in the way of your success. This includes a combination of Kinesiology, Holistic EFT, Timeline Therapy, and Hypnotherapy techniques. When we can accept ourselves (the good and bad), move out of fear-based thinking and into the deeper truth of our heart and soul, nothing can stop you. Learn my signature techniques to get to the core of any problem or issue fast, and release blocks on the mental, emotional, physical and spiritual level to create long lasting change. 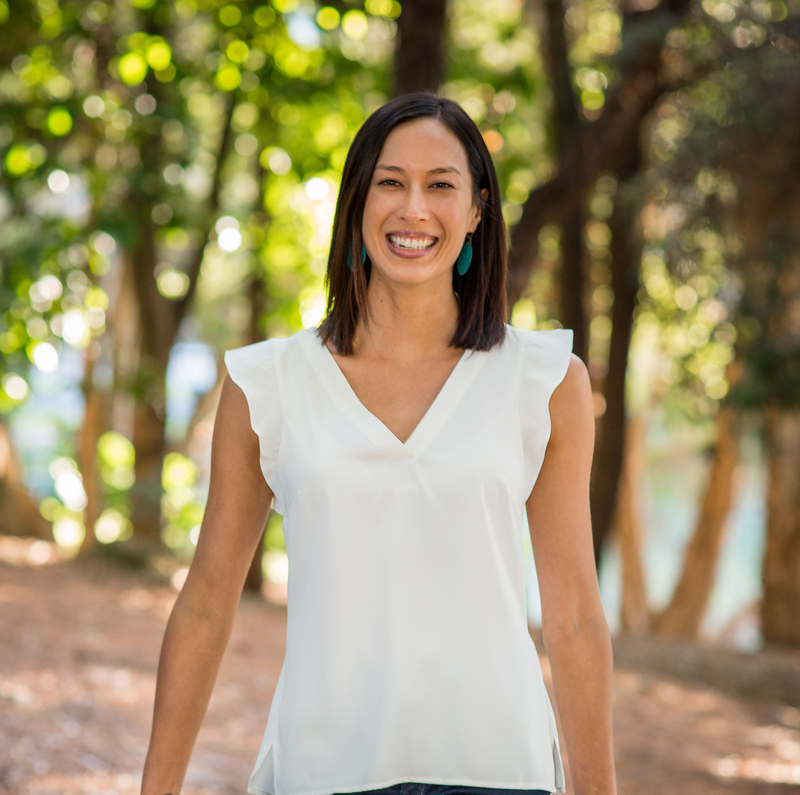 As a Life Coach, Kinesiologist, EFT and NLP Practitioner, I have spent the last 5 years supporting over 300 women to break through fear and anxiety, develop self-belief and triumph in life and business. 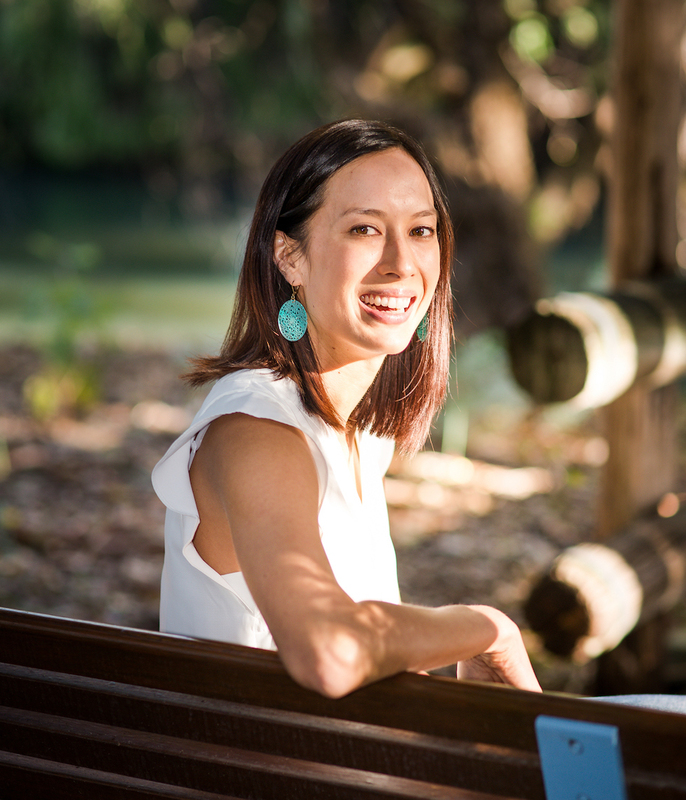 I am an introvert by nature, and having suffered from social anxiety most of my life, I have travelled near and far to learn powerful breakthrough techniques so I can too feel comfortable in my own skin, and stand with confidence and conviction that I am enough just as I am. I no longer allow the opinions of others to define who I am and now choose to live a fruitful passionate life on my terms, not others. Having been able to break through the countless fears that held me back, as well as the paralysing feelings of not being good enough or worthy enough, nothing pleases me more than supporting other women to do the same. So they too can confidently and courageously go after their dreams. You will receive an online questionnaire to identify old beliefs, negative emotions and behaviours keeping you fearful, anxious and stuck – giving us a clear guideline of what to address over the next 3 months. This is where we dive deep into what’s going on for you, get crystal clear on where you want to go, and support you to clear the emotional and energetic blocks getting in your way of you achieving your goals. You will learn the tools you need to shift through energy blocks yourself, anchor into your heart and out of fear-based thinking so you can feel empowered to show up for yourself each and everyday. You will have access to me via email and Voxer to answer any questions you have or any problems you encounter throughout the coaching sessions. This session is to be used within 3 months after completing the 3 month program to check back, get support and shift anything else that needs to be cleared. It is really important to me that we gel together and you feel comfortable and safe with me to support you through your biggest blocks. So before we get started I’d like to have a chat to see where you are at, what’s holding you back and what isn’t working for you. Apply for your 30 minute discovery call below. Let me know your phone number and the best times for your discovery call. I have always had an issue of not feeling good enough. I had to find a way to get on top of my negative self-talk, and a solution to my inferior complex as it was time to step up in my business. I was at a stage in my business where I felt stuck and frustrated. Growth wasn’t happening as fast as I wanted, plus I was juggling 2 businesses, being a wife and a mum. But oh my god, be careful what you wish for because after seeing Rachel, my business has exploded. I cannot believe the changes that have happened in my life since seeing Rachel.